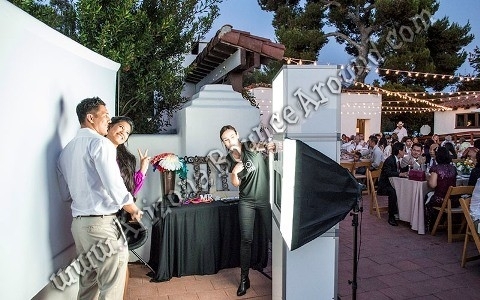 Check out our open air photo booth and you will see how fun our photo booth can be at your party or event by having large groups in the pictures and the capabilities of different backdrops, everyone will love this photo booth and the props we provide are great!!! We offer full-service photo booth rentals with no add-on charges for should be included items like double prints. Our photo booth is a commercial machine with a high output dye sub printer. Our photo booth has bright photo quality lighting. Not all photo booths are created the same. Our photo booth is not a homemade photo booth made out of pipe and drape or a webcam stacked on a box with a cheap color printer.